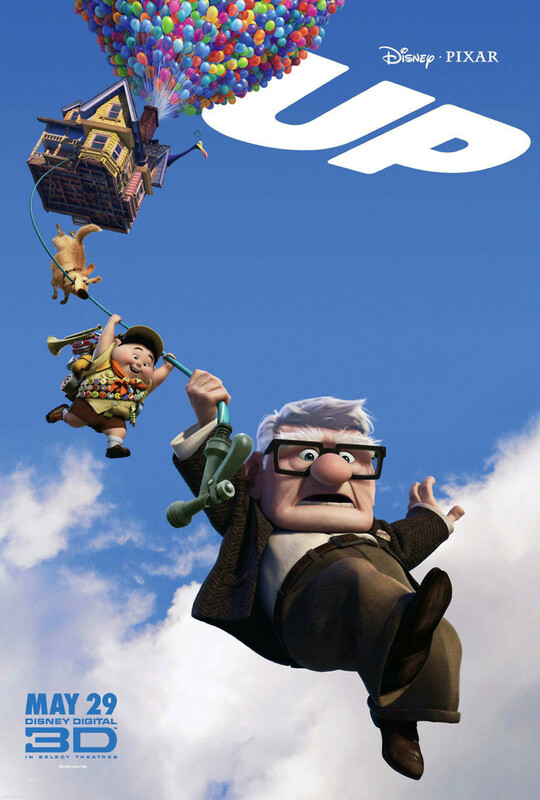 Anchored by one of the most touching vocal performances in animated history by Ed Asner, Up unveils the story of retired balloon salesman Carl Fredriksen who has lost all purpose and reason after burying his beloved spouse. (The silent sequence of their lives is almost heartbreaking.) Looking for adventure, Carl ties a kabillion balloons to his home and allows them to take him up, up up. Unfortunately, he ends up with an unwanted passenger, 8 year old Russell. What could have easily been a cliche becomes an affirming development as Carl reluctantly takes Russell along for the ride of their lives.